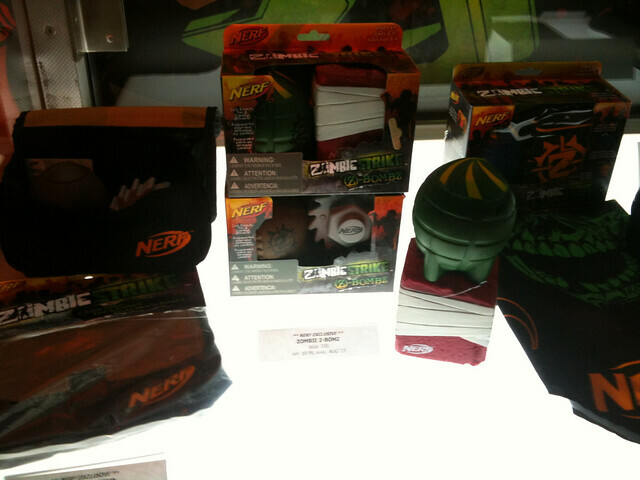 Thanks to my contacts at Hasbro/Nerf for the news and image shots. I’m being told that these new Foam Melee items will be available to be viewed at San Diego Comic Con this year! 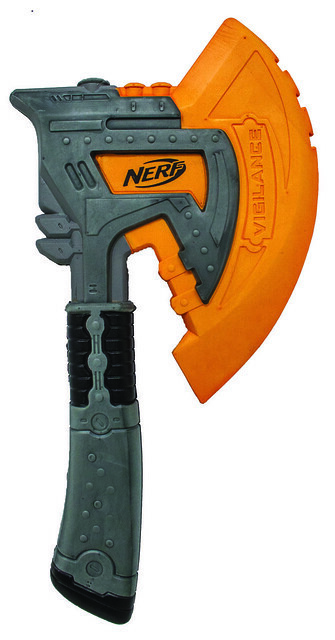 They are made by Perpetual Play Group, which has made solid Nerf items and accessories the in not so distant past for Nerf. The “Swift Justice”, pictured above, closely resembles a knife. While the “Vigilance” below looks similar to an axe. No information on pricing or targeted release frame yet, but keep your eyes and ears open to my site for that info in the future! Check the rest of the post for two more looks at the Swift Justive and Vigilance. 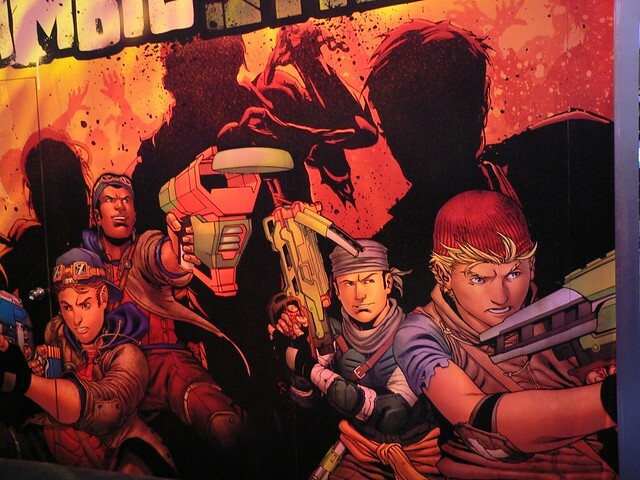 The art displayed at the San Diego Comic Con Nerf booth, photo credit to Jet. 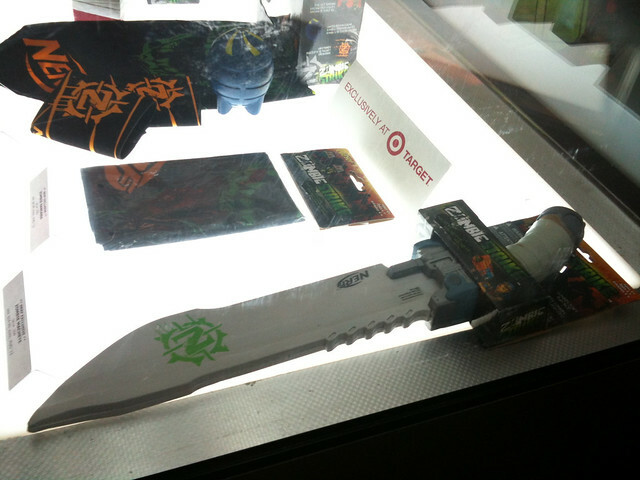 One of the new Zombie Strike products on display, the Strikeblade. Retail Price: $14.99 USD/Available: August 2013) Photo Credit to Naazrael. San Diego Comic Con 2013 just happened this past week, and apparently Nerf had their new Zombie Strike line there, featuring products that hadn’t yet been revealed at the time. Before I get around to the images, I have to thank naazrael of Reddit for posting some of the photos, and also Jet with her blog Blaster By My Side. Atamaii.com was also there on hand to get a video overview of the products on display. If your not into photos, I recommend checking the video. 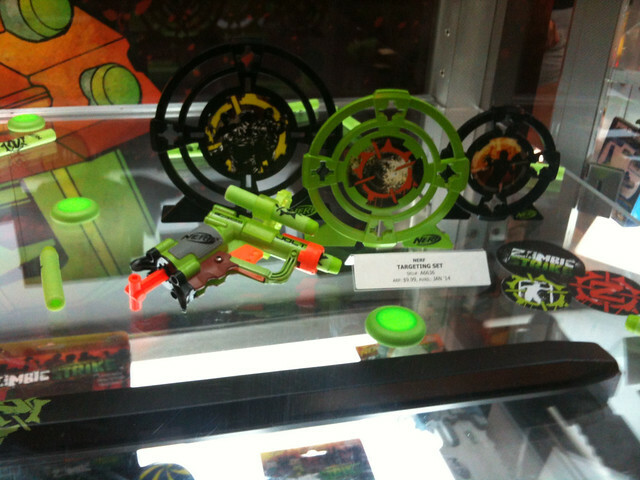 We get a photo of the actual physical product for the Zombie Strike Target Set. It’s a recolored/repaint Jolt, so Nerf fans with the Jolt already might want to pass to on it. Do you see that skull design and the items in the box with the plastic see through? 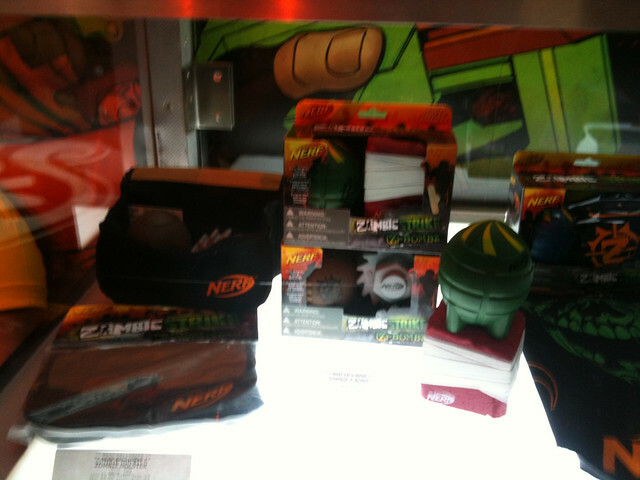 The skull design is a the bandanna that Nerf will be selling, and the item in the box is the Zombie Strike Starter Kit. The bandanna will be a Target exclusive, and will retail for $4.99 USD. The Zombie Strike Starter Kit comes with one Z-Bomb, one Zombie bandanna, and two Zombie Wristbands. The Zombie Strike Starter Kit retails for $14.99 USD. The two photos above show off more new upcoming products. In the first one, something called “Z-Bombz” are pictured. Many people are speculating that their Nerf attempt to “replace” socks in Humans vs. Zombies. They come in about 5 different variants, what looks like a Grenade/bomb, Brick, a Sawblade a Football-like object, and a “Limited edition” grenade/bomb from the Zombie Strike Starter Kit. 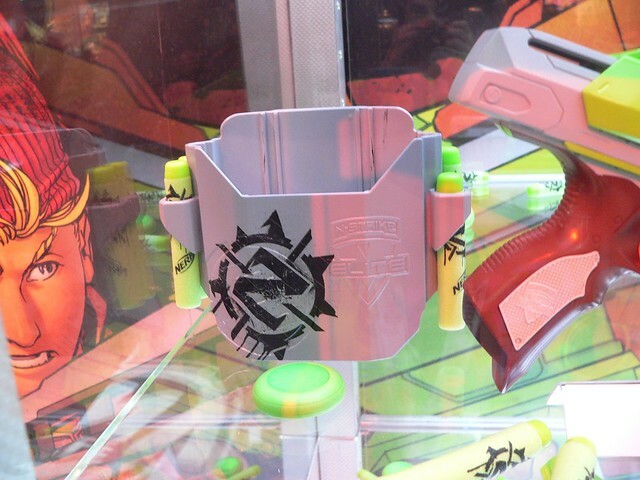 A photo of the Holster on display that comes with the Sidestrike. Note the N-Strike Elite logos on both the holster and Sidestrike. Did these start off as Elite products, before making their way into the Zombie Strike line? Those are pretty much all the new products for us to see at the moment. If you want, I’ve also embedded most of Naazreal’s and Jet’s photos below on blasters that have already been revealed, but I highly recommend checking out Jet’s recap post on her blog for more info.